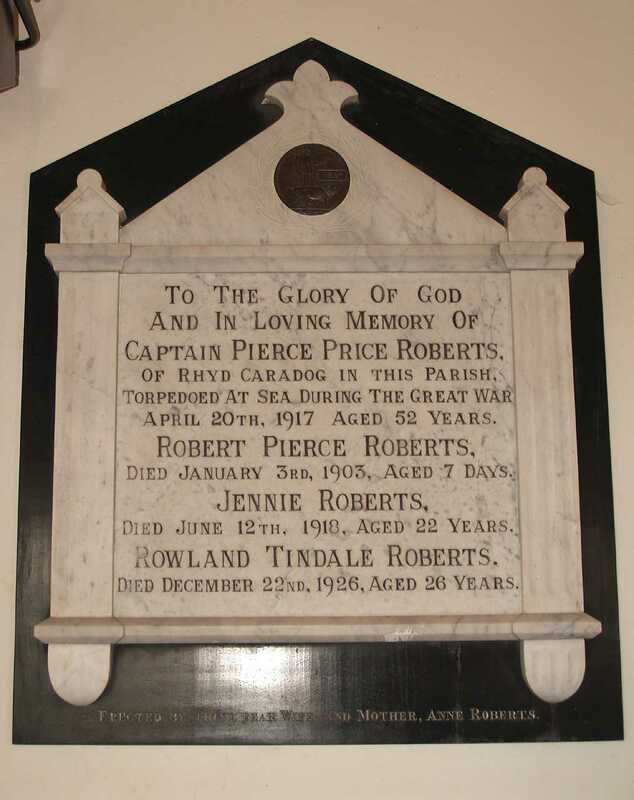 Church Memorial to Captain Pierce Price Roberts. The S.S. Portloe was a steam cargo ship, built in 1912 by a Sunderland company, J. Blumer & Company, and at the time of her sinking was owned by Portloe SS. Co. Ltd. (W. E. Hinde & Company), of Cardiff. 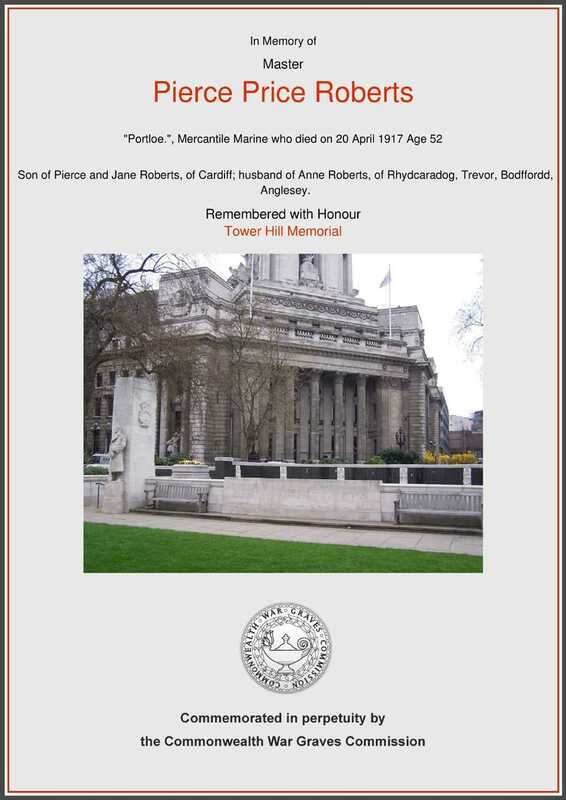 On April 20th, 1917, whilst on a voyage from Bougie to Clyde with a cargo of phosphate, Captain Pierce Roberts, along with 23 others was killed when his ship was torpedoed by the German submarine U-67 about 160 miles from Fastnet Rock, which is at the most southerly point in Ireland.